The Bank of Industry (BoI) has laid plans to raise a N1 trillion loan facility from within and outside the country to partly finance industrial component of the Economic Recovery and Growth Plan (ERGP). This is even as the bank released strategies aimed at revving up its risk assets to N1.2 trillion by 2019 in line with its revalidated strategic plan (2016-2019). Acting Managing Director,(BoI), Waheed Olagunju, disclosed this in Abuja during the bank’s 57th Annual General Meeting. Olagunju stated that the bank was engaging in the aggressive fund mobilization drive in order to support federal government’s ERGP as well as support ventures that would fast track Nigeria’s realisation of the Sustainable Development Goals (SDGs). According to him, under the plan, it is envisaged that enterprises financed by BOI would generate more than 5 million jobs. He noted the bank had commenced discussion with the Development Bank of Nigeria and some foreign national as well as multilateral development finance institutions. The BoI boss acknowledged the efforts by both the Federal Government and the Central Bank of Nigeria to make the bank more viable despite competing needs and financial constraints. He explained that the recapitalization drive by the bank became necessary in achieving its developmental agenda and in ensuring that MSMEs account for at least 30 percent of the Bank’s projected risk assets of N1.2 trillion by 2019. Given a breakdown of the bank’s activities in the year under review, he said the bank at 30th April 2017, had already exceeded last year’s disbursement to MSME’s by disbursing more than N13 billion as against last year’s N8billion which represents 62% increase. According to him, the volume of new loans rose by 10% to N171bn from N156bn in 2015, while disbursements to small and medium enterprises (SMEs) similarly went up by 42% within the same period to N8bn from N5.64bn. Having approved loans of over N1 trillion over the last decade, half of it in its quest to transform the industrial sector in Nigeria, Olagunju affirmed that the Bank of Industry is indeed well positioned to keep intervening in keys sectors of the Nigerian economy. Apart from the fact that more than 800 enterprises that could potentially generate over 1,000,000 jobs benefited from the bank’s facilities within the year under review, he also said the quality of the bank’s risk assets improved phenomenally as the ratio of non-performing loans dropped to 3.72% in 2016 from 5.87 in 2015. He also noted that “During the year under review the bank recorded unprecedented levels of operating efficiency and actually outperformed some of the nation’s commercial banks. The sustained stellar performances, according to him, is traceable to the high level of professionalism and the adoption of global best practices by the institution’s competent committed as well as passionate management team and staff. 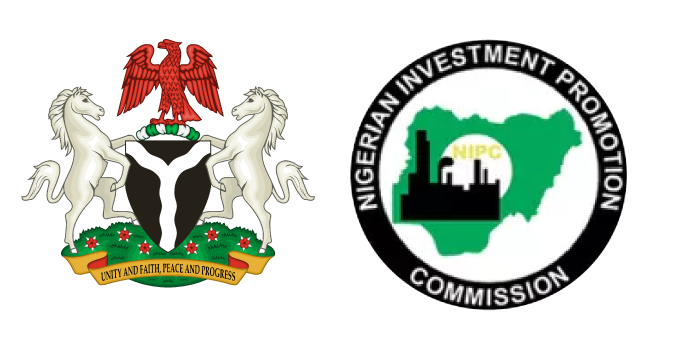 The Minister of Industry, Trade and Investment, Okechukwu Enelamah commended the bank for its achievements during the 2016 financial year, adding that bank had also gained significant traction in the implementation of the Government Enterprise andEmpowerment Programme (GEEP) that is being rolled out in all the 36states of the federation and the Federal Capital Territory. He said: “BOI’s support for the Federal Government’s N-Power Programme under which jobs are being created for 500,000 youths in agricultural and health sectors as well the teaching profession is another highly commendable manifestation of the bank’s contributions to ongoing efforts at diversifying and reviving the national economy. “As the foremost Development Finance Institution in Nigeria with a ‎strong commitment to social responsibility, the Bank of Industry has continued to provide strong support for the developmental initiatives of the Federal Government and its agencies. “Worthy of note is the fact that the bank has been pushing ‎boundaries with regards to consolidating its strategic partnership with state governments and other key institutions in terms of its Matching, Managed and Legacy Fund Initiatives, which provide direct lending and advisory support to address specific needs of key segments and sectors of the economy.